The launch of an important Scottish sporting estate in Sutherland last month has caused a sensation in the fishing world. 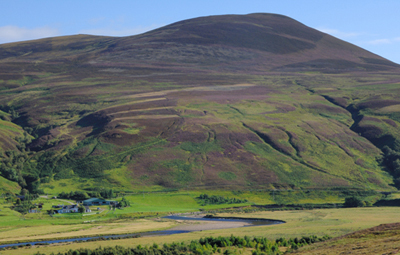 The 16,600-acre Suisgill Estate combines excellent salmon fishing on the River Helmsdale with red deer stalking and grouse shooting, as well as duck flighting, walked up woodcock and roe stalking. ‘It’s the first time in more than forty years that a whole estate comes onto the market on the Helmsdale, which is internationally renown for its salmon,’ says Charles Dudgeon from selling agents Savills. Suisgill is one of only six estates with the right to fish the Helmsdale and the five-year average for its rods is 405 salmon and grilse. The estate, which once belonged to the Duke of Sutherland and later, the Duke of Portland, comes with a riverside lodge, a large farmhouse and four cottages. Part of the grounds are laid to commercial forestry and part carry a flock of 810 North Country Cheviot breeding ewes. Savills (0131 247 3702) are seeking offers over £7 million for Suisgill. The Scottish issue is in the shops now, or you can buy it on Ipad or Kindle in seconds.